Facial Fillers are called the "liquid face lift" because they are able to restore youthful fullness, soften facial creases and wrinkles and enhance the lips without the downtime associated with a surgical facelift. Dr. Boakye goes beyond merely filling lines and strives to create facial shape with balance, symmetry and ideal proportions. She uses a variety of fillers to customize treatment and achieve the most comprehensive rejuvenation and natural looking results. Below are a list of fillers commonly used to rejuvenate various areas on the face, ears and hands. 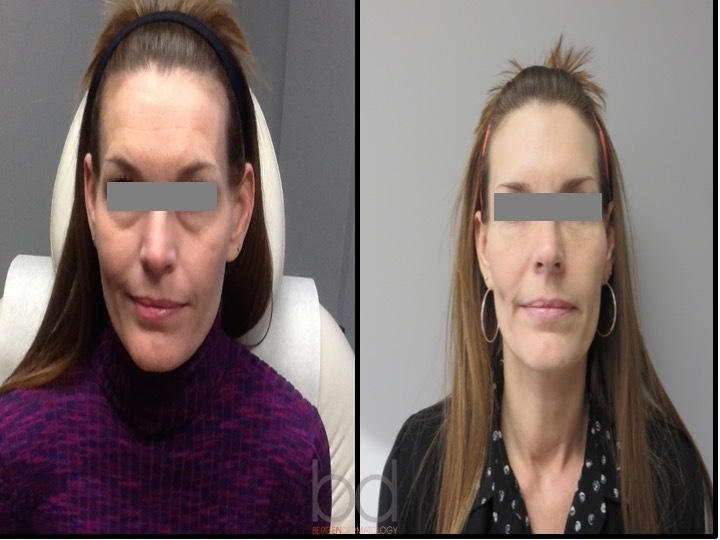 Filler placed in the mid-cheek and laugh lines for a more youthful appearance. Look less fatigued and more attractive with fillers and Dysport/Botox.